The who’s who in the power electronics industry descended in San Antonio, Texas recently for the annual Applied Power Electronics Conference & Exposition (APEC). 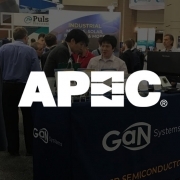 For those unfamiliar with APEC, it is one of the leading events of the power electronics industry, bringing together professionals from all sectors from around the world – designers, engineers, manufacturers, suppliers, academia, and media. The conference provides a forum to exchange technical knowledge and to discover the latest developments in power electronics technologies and products. In my opinion, this year’s conference was one of the best and most exciting. There was an increased collective enthusiasm about the technology advancements in high-power, high-efficiency power systems designed to meet the demands from every industry sector you can think of – from automotive to consumer electronics to data centers to renewable energy. We demonstrated the highest density on board charger (OBC), resulting in a 3X increase in power density at 4kW per liter, compared to a silicon-based charger at 1.3 kW per liter. High power density with GaN plays an important role in many additional sectors, such as consumer electronics, more specifically power adapters, which are more efficient, smaller, lighter and sleeker. For instance – and as noticed by many conference attendees – our reference designs reduce the size and weight of laptop chargers to one-third of those made with silicon transistors. We are moving to a wireless society – one where our devices no longer need to be tethered with cable connected to them. Industry has successfully removed the telephone cord with the mobile phone. Next came Wifi and the elimination of the Ethernet cable. The last cable to cut is the power cord. We’re now transferring power and charging devices wirelessly. In many applications this means we need higher power and higher efficiency power systems. And here is one of the key applications that garnered a lot of attention and interest from conference attendees – GaN’s use in wireless power transfer, additionally known as wireless charging, depending on the application. For this application, we demonstrated GaN’s capability to reach power levels much higher than what wireless charging has traditionally achieved. As an example, wireless charging is most well-known for charging cell phones and laptops – these are low power applications. But with our GaN transistors, we showed applications from 100W up to 1.5kW. GaN enables data centers to realize energy savings and increase power density – significantly reducing OPEX, CAPEX and TCO expenses, as we demonstrated with a customer’s 3kW power supply. Using GaN, we achieved 50% increase in power density in the same size power supply, increasing a standard Intel CPRS form factor output power from 2kW with silicon transistors to 3kW with GaN. This application of GaN generated great interest from many power supply designers. 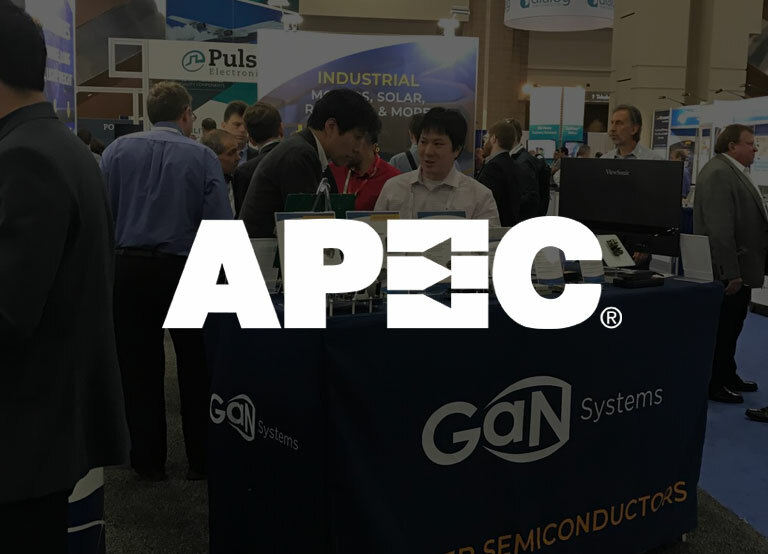 The week at APEC 2018 was a banner one for GaN Systems. We renewed old friendships, made new industry connections, showcased our customers and partners, and announced new and innovative products. With GaN power transistors, we are watching our customers favorably impact their bottom line and long-term business competitiveness. Furthermore, the improvement of new engineering designs and products undoubtedly have a global environmental impact.